For those visiting the Isle of Wight from cities and towns miles from the coast, it is always a welcome relief to be surrounded by stretches of pristine shoreline and beautiful beaches as you lap up the fresh sea air into your lungs. Being quite a small island – 147 square miles - you are never too far from hearing the rhythmic sounds of the waves crashing against the rocks, and some of our holiday cottages are dotted directly by the ocean front with incredible sea views. Waking up to the sights and smells of the coast is something we all desire whilst on holiday, and we have several cottages with a sea view available to rent on a self-catering holiday in the Isle of Wight, to make your trip to this island jewel your dream break. As well as the history, amusement and cultural activities available on the Isle of Wight such as the steam railway, Blackgang Chine theme park and the Quay Arts Centre, unsurprisingly, the island is teeming with exciting water sports activities to try out. Surfing, body boarding and kayaking are available for those thrill-seekers, or beach BBQ’s and games such as volleyball and Frisbee can always be played on the golden sands for those who prefer to stay on dry land. There is a wealth of things happening on the coastline and if your cottage has a sea view then you are never too far from trying out any of these. Wight Water Adventure Watersports has courses and stocks equipment for those who are keen. Beach activities may not be for you and you may just prefer to take relaxing rambles by the shore, or perhaps you would just like to sit outside your cottage on a deck chair, looking at the sea with an ice cream in hand while the sun beats down on your skin. Whether you enjoy adrenaline activities or not, having a cottage with a sea view on the Isle of Wight is invigorating and refreshing and the perfect ways to send spirits soaring while on a lovely cottage break. Cottage holidays in the Isle of Wight are a brilliant blend of exciting activities, comfy lodgings and great food, all in a stunning setting. With hidden forests, rolling fields and above all, an incredible coast line, waking up to the sun climbing up over the distant ocean horizon is high up on the list of desires when on a break here. 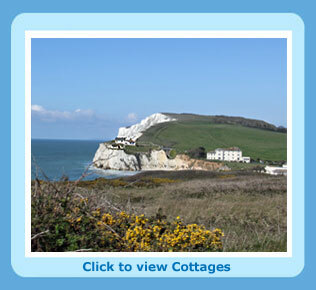 Have a look at our Isle of Wight seaside cottages, some with sea views, to enhance your holiday and make it perfect. Rent a seaside cottage on the Isle of Wight to be close to the coast for lovely views, coastal walks and days on the beach. As a relatively small holiday island, there are holiday cottages and apartments dotted around the island looking out to sea. Just about every sea view contains a boat or two. On some days there are flurries of yachts scudding across the waves - all very attractive to look at and even better to participate in on holiday.